“I have gone through three years fighting for our democracy, fighting for justice, fighting for every Nigeria to have a seat on the table. “This is not a Nigeria for some to sit and some to stand behind, that is not the Nigeria you and I know, the truth is that Nigeria is struggling”, he said. “It is time we have a Nigeria that represents all of us, and everybody will be on the table with an equal share, equity and justice. “Appointments should be made base on federal character and on one’s capacity, that is the Nigeria that we want”, he stressed. “My brothers and sisters, I want you to know that countries do not develop and become great merchants, countries do not develop by trial and error. “Countries develop when they have leadership that have visions, leaders that are focused, determined and know the roadmap to succeed as well as the destiny they are taking the people to. 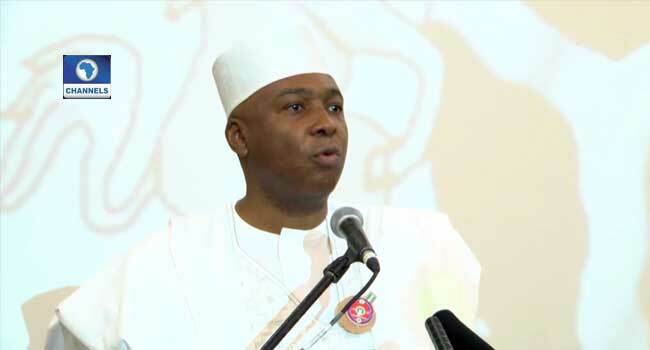 “I believe this is the kind of leadership that I know I can bring to this country Nigeria”, Saraki added.